It’s a mis­lead­ingly simple question. When you hold some­thing you own, do you feel a little bubble of hap­piness? A flutter in your heart? If yes, keep it. If not, get rid of it. That’s Marie Kondo’s phi­losophy, which she explores in her new Netflix series “Tidying Up with Marie Kondo”. The eight-episode first season follows Kondo as she acts as a con­sultant for several fam­ilies, helping them declutter their lives using the KonMari method. Along the way, Kondo gives declut­tering tips to both the family and to the viewer directly. Kondo splits items into five cat­e­gories: clothing, books, papers, komono (mis­cel­la­neous, including kitchen and garage), and sen­ti­mental items. The Netflix series shows how she works with fam­ilies to deal mostly with clothing, komono, and sen­ti­mental items. She begins each con­sul­tation by greeting the home, thanking it for the shelter it gives. It’s an action seem­ingly inspired by Eastern phi­losophy — and often sur­prises the family. She then walks through the home to assess the damage. Many fam­ilies seem to struggle with copious amounts of clothing or extra kitchen equipment, rather than the knick-knacks or mean­ing­lessly full shelves we often think of when we imagine “clutter.” While the fam­ilies may have brought these objects in their homes out of a “need,” many of them sit untouched in closets or drawers. Each family has called in Kondo for dif­ferent reasons. The first episode works with the Friend family, who are trying to sim­plify their mate­ri­al­istic and con­sumeristic lifestyles. Other call in Kondo to deal with moving problems, or post-retirement pileup. But Kondo’s phi­losophy always stays the same: Does an item spark joy? Nothing that brings someone joy can be con­sidered clutter. If it makes you happy, then it’s nec­essary. Kondo walks fam­ilies through the process of not only fil­tering through their pos­ses­sions to keep only the neces­sities, but how to properly store the sur­viving items. Clothing gets folded to be “filed” in drawers. Toys and tools are stored in clear bins. Pic­tures and mem­o­ra­bilia are arranged in a display. Kondo does all these things cheer­fully, with patience and lightness. She bounces around, touching items to “wake,” them and gig­gling over babies in the homes. And while the show is tech­ni­cally reality tele­vision, Kondo’s brightness and care makes it feel genuine. She clearly enjoys what she does and takes pride in her business and helping others. 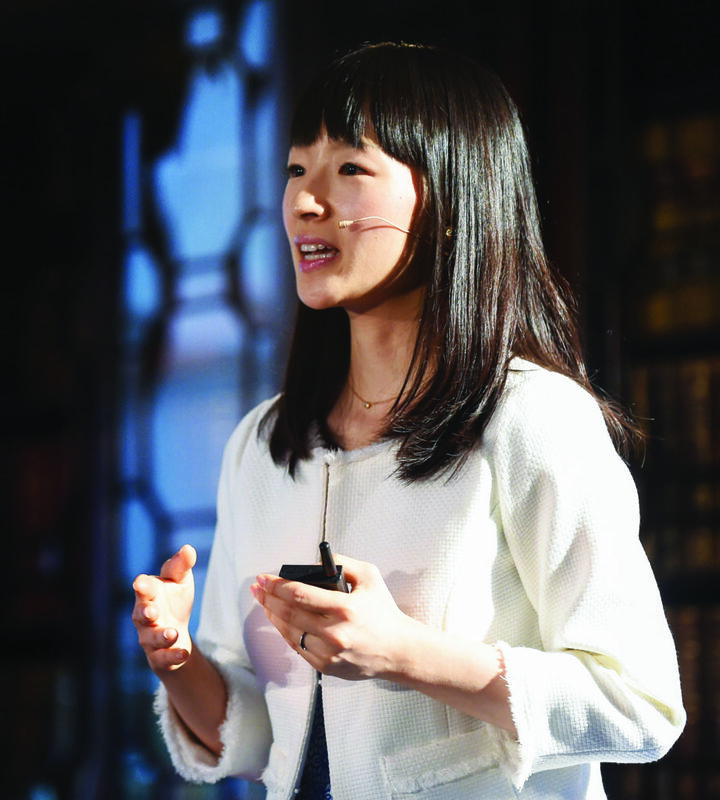 Tidying Up with Marie Kondo is essen­tially an easy-viewing, beginner’s guide to declut­tering based on the KonMari method and hosted by the creator herself. Kondo shows not only the family her method, but explicitly shows the audience spe­cific tricks they can use. It tricks them into thinking it’s really that simple, sparks moti­vation to throw away the closet, and launches the viewer down a path to finding joy by cleaning out their life.